SALES AND DISCOUNTSsubscribe here now! 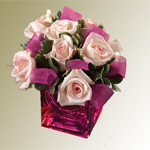 A bouquet of 3 roses in candy colors. 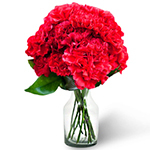 Bouquet of 11 red carnations . 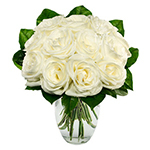 Purity can be found in white roses. 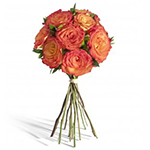 Colors chosen for the bouquet of 5 roses. 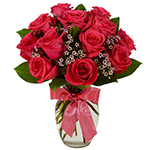 Smiling bouquet composed of five pink roses. 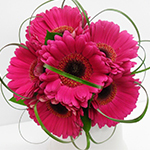 A bouquet made of 7 full appreciation pink gerbera and greenery. 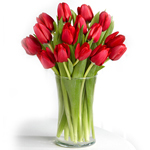 Tell your feelings by giving him a fresh bouquet of 7 red tulips, sensual, and love. 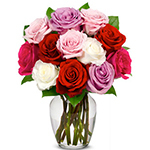 It's a bunch that can be offered at any time of life and a perfect choice for Valentine's Day. Anthurium plant is decorative with its delicate flowers, flower color may also vary from light green, olive, to dark green, shiny. An interesting thing is that the leaves are unique to each plant. 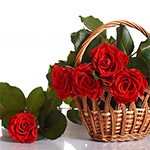 Spring, in some varieties the leaves are pale or red tinge, but while it is closed, reaching adulthood have a dark green color (original color are preserved only on stems and stalks). Send this gorgeous bouquet of three green anthurium, only Cluj online florist, Flowers to Cluj.ro, which may be accompanied by a message and a sweet gift. 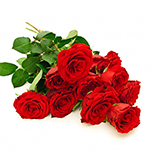 5 red roses and aspidistra leaves . 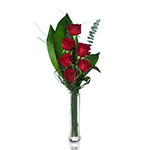 5 red roses and aspidistra leaves very passionate. 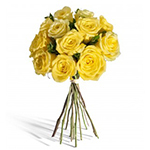 To make a nice surprise to your lovely person the online florist from Cluj, Flowers la Cluj.ro send for you this gorgeous yellow roses bouquet. 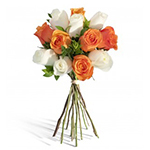 The flowers bouquet is made from 7 yellow roses that will be bring certainly to your lovely person a large smile and she certainly "don't forget you". 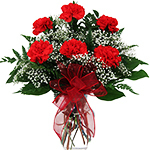 Next to the roses bouquet you can send also a sweet gift or a message. 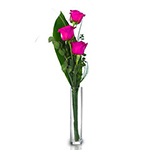 The image is with presentation title and didn't contain the vase. 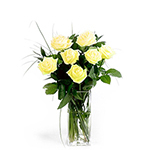 To make a nice surprise to your lovely person the online florist from Cluj, Flowers in Cluj.ro send for you this gorgeous yellow roses bouquet. 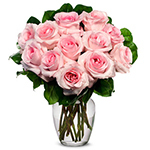 The flowers bouquet is made from 7 pink roses that will be bring certainly to your lovely person a large smile and she certainly "don't forget you". 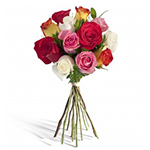 Next to the roses bouquet you can send also a sweet gift or a message. 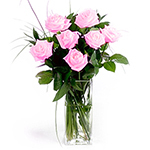 The beauty of goods changed in 7 pink roses . 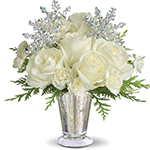 Bouquet "Snowflakes" is composed of 5 white roses and pinks 6, enveloped in green of the fir-tree branches and leaves of salal, making it such a special bouquet for this time of year. 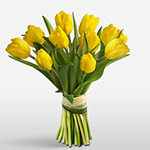 We created this bouquet of 11 yellow tulips , specifically to be offered when you want to express your feelings but you want to choose something special , give up the classics roses. 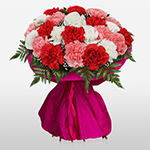 Colorful bouquet of 19 carnations . 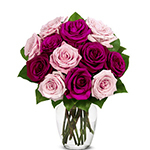 We created this elegant bouquet of 11 pink tulips tied with a delicate ribbon of the same color, to help you to submit your loved one's feelings and thoughts. 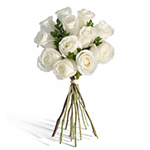 Express your feelings by giving him this bouquet of 9 white roses. 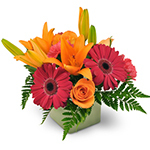 The flowers bouquet is made from 6 red roses and 3 lilys, nice arranged. 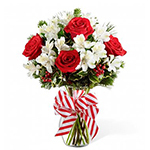 To make a happiness to your lovely person, the online florist from Cluj, Flowers in Cluj.ro help you and send for you this gorgeous lilys and roses bouquet by the wanted message and a sweet gift. Around the year 1600, women wore bodices noble French tulips and dress materials that were printed these flower . 11 smiles on her face . 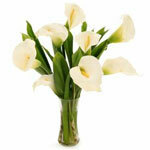 The calla, a symbol of feminine elegance and style, holds are recognized under the name of "flower king". In the West, holds are used in the most important events. 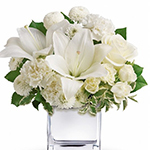 The white color signifies purity of soul that path and eternal love. 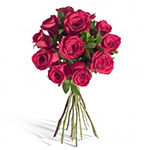 Send this beautiful bouquet of lovely person way to create an unforgettable moment, the online florist in Cluj, Flowers to Cluj.ro, which may be accompanied by a message and a sweet gift. 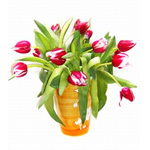 A bouquet of 17 pink tulips represents the heart of popular culture lovers. 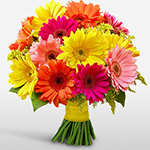 Copyright © 2010-2019 Flori la Cluj.ro - Fresh flowers and gifts with delivery in same day in Cluj Napoca and Timisoara. SC Smart Delivery SRL is notified like personal data operator to ANSPDCP with Nr.18996 ANPC. 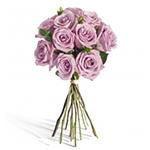 We deliver flowers in Cluj Napoca and Timisoara within 2 hours after you're payment confirmation directly from our workshop.In contrast to other online florists from Cluj Napoca and Timisoara, we do not use intermediaries. 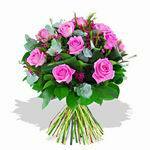 If you want to send flowers in others locality from Cluj and Timis country you can required this and we delivery you're flowers surcharge.